A packaging project has a lot in common with a tree. It comes from a small seed and grows slowly, with its contours defined by time. Our work on the packaging for Sabino Basso olive oil began while the olives were being harvested; and while these changed their form to become oil, we gave new shape to the glass. “The making of: oil from the earth to the bottle”. 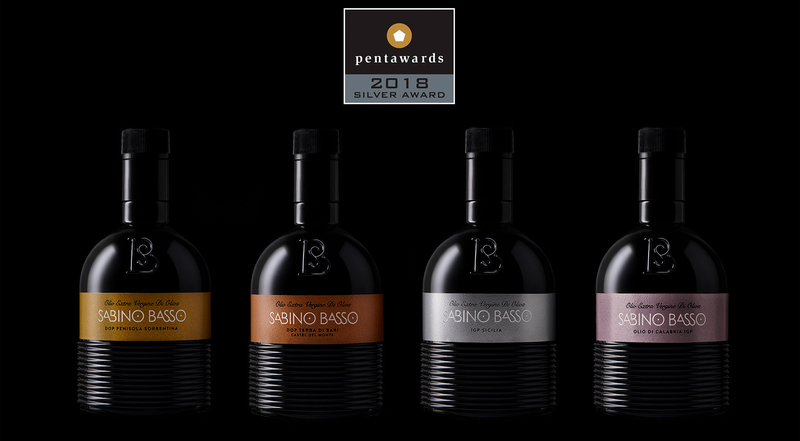 The packaging for the “Oli d’Italia – Sabino Basso Selezioni” project created by nju:comunicazione wins the Silver Award at Pentawards 2018. With sinuous shapes reminiscent of the softness of the oil, the design takes a modern approach to a past feature of glass bottles: the ‘ondine’, a series of grooves used to guarantee an optimal grip in the case of frost from the fridge or other liquids. The choice is therefore aesthetic and functional, and always guarantees grip, even with residues or drops of oil that would otherwise make the bottle slippery.